Jackie has been a friend of mine for years now, and I’ve gotten the pleasure of watching the journey of her relationship from long distance dating flying to LA every month, to getting engaged and now getting married! 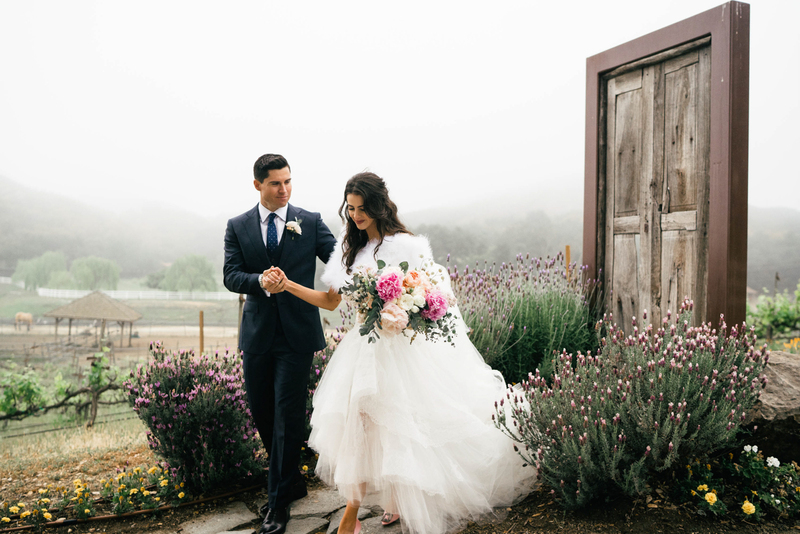 When I knew I’d get to photograph her wedding at a vineyard in Malibu, I pretty much cried. If you’ve ever been to Saddlerock Ranch, you know that this place is a literal dream! And when the day came, there just so happened to be tons of fog and mist – which threw us for a loop since we thought Southern California was always sunny. But the atmosphere only made it that much dreamier, and it truly was the most beautiful day.